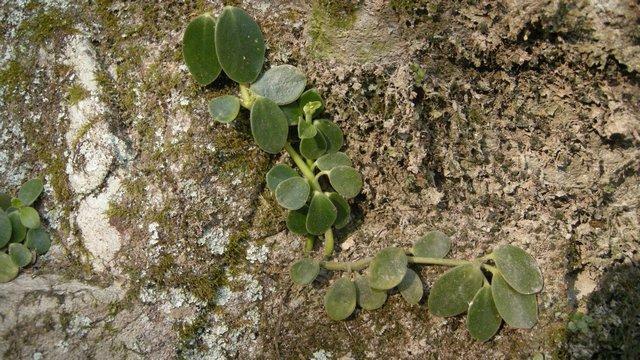 The drug is the dried entire herb of Peperomia dindigulensis Mequel(family Piperaceae), growing in ravines, creek banks or on moist rocks; and distributed in Yunnan, Guangdong, Guangxi, Fujian, Taiwan of China. It is used to remove heat, dissipate blood stasis, stop bleeding, resolve swelling, relieve pain and induce diuresis; for the treatment of edema caused by nephritis, cough due to lung-heat, cancer, traumatic injury, burns and scalds, boils and sores, measles. Decoct 10~30 g or double the dosage with fresh, or soaked in wine. Proper dosage is for external application, pounded for applying with the fresh.